With its beautiful scenery and towering trees, Granite Bay, California is indeed a perfect place to live in. This thriving suburb is located on the east of Roseville and west of Folsom Lake. 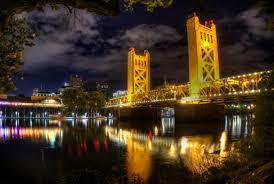 The weather is very friendly and it is located just 30 minutes away from Sacramento. It is a Census Designated Place found in Placer County. This county includes Sacramento’s inner suburbs to Lake Tahoe and Nevada border. Living in Granite Bay offers accessible hospitals, shopping centers and ease of transportation. For people who love to have fun, this place has recreational centers, parks, mountains and location that families will surely love. It has a population of 21,238 as of July 1, 2017. According to Wikipedia, as per 2010 census, Granite Bay is composed of different races with 88% White, 0.7% African American, 0.7% Native American, 5.6%Asian, 28 0.1% Pacific Islander, 1.1% from other races, and 3.7% from two or more races, and Hispanic or Latino of any race were 6.2%. If you live in Granite Bay, and have fallen victim to substance abuse don’t hesitate to seek treatment. There are enormous resources in at your disposal. Despite its amazing environment and well-paved sidewalks, still, the town is faced with this common but difficult problem on drugs. The seemingly impossible to eradicate issue on drugs is addressed by the authorities in the area. They are continuously conducting strategies to help individuals who are involved. The quiet and peaceful town is in a constant battle against drugs, just like any other place in the US. In the past years, there were several drug cases that gained attention on the news. According to the news published in The Press Tribune, deputies made 65 arrests for possession of heroin or possession of opiate pills within Loomis and Granite Bay, between 2012 and 2014. During this period, the Placer County Sheriff’s Department also made 137 arrests in Loomis and Granite Bay for possession of drug devices such as illegal needles and specialty pipes for injecting or smoking heroin. Drug use is an ongoing issue and a threat both to its user and the community. Here are some of the commonly abused drug substances in the area. Heroin– It is one of the most commonly abused drugs sourced from pod of opium poppy. It is used as an intravenous drug or by inhalation and smoking. People who use heroin experience a temporary feeling of euphoria and a surge of pleasure. Marijuana– Marijuana is derived from the dried leaves of the plant known as Cannabis Sativa. It contains Tetrahydrocannabinol (THC), which is considered as the psychoactive component of this plant. It is a common drug of choice for teenagers and young adults. Today, it is being used for medical purposes and involves implementing laws regarding dispensing and prescription of the said drug. This may also differ from state to state. Alcohol– Alcohol is a recreational beverage, but if taken in a habitual manner, may lead to addiction and severe health problems. Inhaled substances– These are volatile substances that are misused as inhalants and may cause psychoactive effects. Some of these are items that can be seen inside one’s own household. Examples are solvents, aerosol sprays, and glue. Cocaine– Also known as coke, this is a stimulant used as a recreational drug. This is produced from the coca plant and is widely abused across the US. Methamphetamine– This is a very potent drug that has a stimulating effect on the brain. It appears as a white powder or crystalline substance, which is typically snorted. Many people get involved in drug use and substance abuse. Understanding the risk factors will help us know whether certain individuals are more at risk to abuse and eventually prevent it from happening. Here are some of the risk factors identified, related to the unhealthy use of drugs and alcohol. This involves factors found within the community, such as availability of substances, laws, norms, and programs that are being conducted to address this issue. If a person is exposed in an environment where drug is readily available, they have a higher chance of using the substance, and eventually abusing it. Another is living in a disorganized community may cause emotional and mental problems, which may also lead to alcoholism and drug use. The family is one of the major influences on a child as he or she grows and become productive individuals within the society. Parent serves as role models and teachers. Without proper guidance from parents and caregivers, children may end up to drug use and substance abuse. If a family member already has a history of drug abuse, children or other members are also at risk because of their exposure to drugs. Proper support and guidance is important so that children will not imitate the family member’s behavior. On the other hand, people who have a strong support system from their family are also less likely to get swayed from outside influences. And if they get involved in drugs, having a strong support system will also help them recover fast and overcome their drug problem. Situations like failing at school or academic pressure may lead to stress and eventually drug and alcohol use. For some, the school is also the place where some drugs are available to students through other students who have access to the drug. This is why it is important to monitor children and teen’s activity at school to avoid any drug use. Aside from their home, people find comfort and happiness outside with their peers. They also play a major role in one’s growth and development. Some people also experience problems with their peers such as rejection, bullying and alienation. This may lead to depression and anxiety and eventually substance abuse. Guiding your teens with their choice of friends will largely help them to keep away from harmful substances. If there is a noticeable change in the choice of friends, and they relate more to people who seem dangerous, this can lead to introduction to illegal drugs and substances. We all know that drugs can be harmful to our body and mind. It may provide euphoric and pleasant effect at first but if constantly used and abused, it will lead to long-term problems. These effects do not go away easily even if the person already discontinued the intake of the drug. Drug abuse will not only harm the individual who used the drug but also the people around him. There are countless numbers of injuries which rooted from use of drugs. Some cases are abuse within one’s own household. People who abuse drugs are also more prone to accidents and health problems. Drug abuse can cause serious problems to the body, affecting the normal functioning of different organs. Abuse of illegal substances may lead to lowering of the immune system which may cause infections. It may also affect the cardiovascular system and lead to heart problems. Furthermore, it can cause abdominal pain and symptoms related to abdominal problems such as nausea and vomiting. Drugs are toxic substances to our body and this may overwork the liver which may eventually lead to liver problems and failure. Another, drugs have major effect on the normal brain activity. It may alter one’s perception of things, affect memory, attention and even cause stroke. Other effects include changes in appetite which may lead to weight loss or weight gain. Some male users experience hormonal imbalance that causes breast development and erectile dysfunction. Drug abuse and alcoholism are known to cause changes in behavior. Here are some of the problems with behavior that are often related to the habitual use of illicit substances. Paranoid Behavior. Feeling of persecution or feeling that someone is out to get them. This involves physical or verbal aggression that may cause harm to others. Perception of things (visual, auditory and tactile) which is not real. Because of the positive effects that users encounter from their drug use, they continually repeat its use, leading to detrimental consequences. Impaired Judgment. a person who is under the influence of drugs or alcohol will experience difficulty identifying right from wrong. This is why many people commit offenses against the law when they use drugs and alcohol. A few examples are, driving under the influence of alcohol or drugs, domestic abuse, theft and other crimes. The drug addict or person who abuses drugs may perform actions without even considering its effect or its consequences. Illicit use of drugs poses risks to pregnant women and their babies. Some of the drugs may result in birth defects, low birth weight, and behavioral problems. If a pregnant mother is on drugs or abusing drugs they may perform activities that may be detrimental to their pregnancy and unborn child. A mother may also have less regard for their health and nutrition and may lead to unhealthy relationships which may cause sexually transmitted infections. One of the most dread infections these days, although it can be controlled by medications is HIV/AIDS. This condition is considered as a blood-borne disease that is transferred through use of syringes or needles contaminated with HIV virus from an infected person. Some people who are in the early stage of the infection do not manifest any symptoms or symptoms may be hard to relate to HIV because it can be similar to other diseases. Most people who use intravenous drugs or prefer to use injected forms of drugs for recreation are at greater risk to this disease. If the syringes used are contaminated with HIV this will transfer the virus to the person who uses it. The treatment starts when the person and family being able to identify that there is a problem and they need help. The effects of drug addiction are not easily treated like a simple flu. It involves a scientific and medically proven process designed to assist addicts and help them cope with the health effects and transition towards living a healthy and productive life. Before they undergo any form of management or treatment, the patient is assessed by an expert. This is needed for their medical record on the facility. They will also be asking for their medical history and physical exam will be performed. The data gathered on initial assessment will also serve as baseline data for comparison. This will help know if the patient is improving. Example, if on the initial assessment patient is showing behavioral problems such as hallucinations and flight of ideas, after months of treatment they will be evaluated and checked if they still have the same experience or if there is an improvement on his status. This is the first step and involves different interventions to address the effect of withdrawal syndrome. Depending on the severity of the person’s case it may last for a few days and for some, for months. There are specialists who are experts in the detoxification process and provide a personalized plan for their patients. However, the detox process is not complete because it does not deal with other issues involving drug addiction. An addict may still experience emotional, social, cognitive and physical problems that need to be properly addressed. The detoxification process involves three steps. First, the person involved is evaluated to provide the best treatment plan possible for his case. Second, this is the process when the person is withdrawn from the drug and the withdrawal symptoms are managed. Once the patient overcomes that stage, lastly, they are prepared for entry into a drug treatment program. After the detox intervention, getting sober will not be easy if the addict will be doing it alone. They are advised to continue to a more specific form of drug treatment. There are different forms of treatment and one of them is the inpatient drug rehabilitation program. An inpatient program is when the patient resides inside the facility so they are provided round the clock care and support. This also facilitates faster recovery because they are offered a high level of treatment and care from doctors and nurses in the facility. The inpatient facility provides a structured and safe environment for people recovering from drug abuse and addiction. They are provided activities that will draw their mind away from the drugs and keep them busy as they recover. Their health is monitored by professionals on a regular basis. They will be under the supervision of doctors and nurses so the slightest problem can be addressed immediately. They can create new friendships from people inside the facility with the same experience as theirs. Having friends and strong support system is favorable to recovery. There are provided proper diet that is valuable for their recovery. A balanced diet is also important to keep one’s body healthy and avoid undesirable weight gain. Most inpatient facilities offer activities such as yoga, meditation, Pilates and other exercise routines. This will not only keep the body fit and healthy but their mind as well. They are prepared to go back to society. They are provided physical, emotional and social support. The outpatient program is beneficial to those who have mild issues. This program allows the patient to undergo treatment while they stay with their family as they recover from substance abuse. Some people show motivation and eagerness to stay sober but are unable to go to an inpatient program due to various reasons, this will be very applicable to them. Outpatient programs involve scheduled sessions within the week. With this type of treatment, the patient is still able to perform in society and do their responsibilities while they undergo treatment. There are different types of outpatient program. It depends on a case to case basis. However, treatment is focused more on counselling, relapse prevention and health education. Length of treatment may also vary from person to person, depending on intensity of addiction and effectiveness of program. Individuals who require little supervision and have the strong will to overcome the drug problem are most likely to benefit from this program. Recovery from addiction requires long term commitment. The aftercare program makes it possible for individuals who undergo drug rehabilitation to stay sober for the longest of time. This program is focused on relapse prevention and improving social skills as they go out in society again. Aftercare program will also assist patients in developing their job skills and relationship skills. This will prepare them to become productive members of society, while they find work and relate to other people. Sober living is an environment for people who underwent drug rehabilitation programs or choose to stay sober with an alternative treatment program. They are usually houses that impose zero tolerance to drugs and alcohol. They have house rules that will help protect the interest of all the residents. Some people find it hard to stay sober and this type of living facility will surely help them. They are more focused on peer support and involvement towards maintaining a sober lifestyle. They can stay in sober homes as long as they want, but they have to comply with the payment terms and house rules.